Mr Straw is a very good scarecrow – but why? 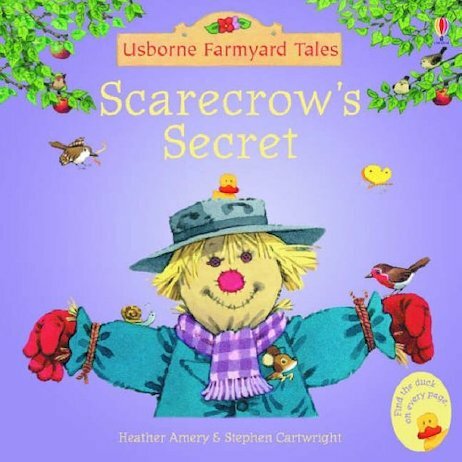 One day Poppy and Sam creep up to examine him, and discover the scarecrow’s unusual secret! This comical story from the popular Farmyard Tales reading scheme has a short text for children to read alone, and a longer one which is perfect for sharing. Another good book from the farmyard tales with a nice story to read to my son.